Sumaiyyah (20) fled Myanmar with her family in August of 1995 at the age of just three months. 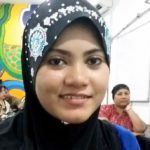 One of over a hundred-and-fifty-thousand refugees from Myanmar (Burma) inside of Malaysia, Sumaiyyah is confined by tight laws restricting her ability to work, attend public school or move freely around the country. She said she yearns to travel but has lived her entire life stateless with no country willing to accept her as a citizen. Education is extremely important to Sumaiyyah. She has achieved the equivalent of a secondary school education provided by a local non-profit and helps to engage her three younger siblings similarly. Her father, Said Alam (40), is the family’s only wage earner. Employed as an undocumented manual laborer in a furniture shop, Said earns $280 USD per month, $128 of which goes towards rent. Sumaiyyah said she worries about her father’s untreated health concerns and is especially worried about her mother, Shariah (35), who is expecting, but has no access to healthcare. Beyond mere subsistence, and beyond the desire for health, education and travel, another one of Sumaiyyah’s greatest desires is a bicycle for her sister, Nor Azizah (6). Nor Azizah has wanted a bicycle for a “very, very long time”.